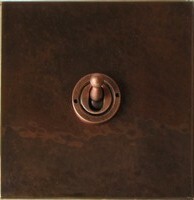 Antique copper, flat back plate. Double socket, Old English finish. 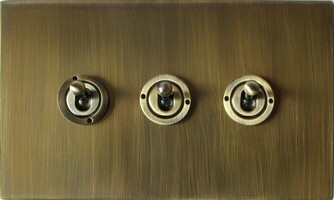 Triple dolly switch, antique brass. Double socket hammered antique copper. 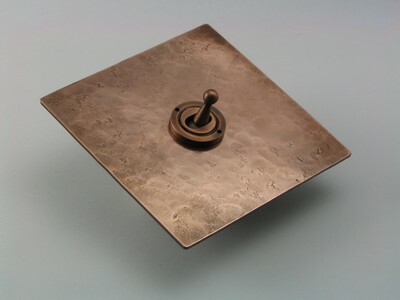 Hand made using time-honoured finishing techniques, the Forge range is available in a range of finishes to suit both traditional and contemporary interiors. This range should cover most finish options. We do not put prices on these, as there are too many options to keep updated. If you are interested in this range for a specific project please contact us to discuss it further. 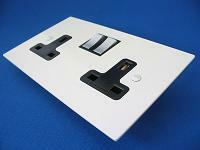 Generally we do not supply just 1 or 2 switches or sockets, it's not worth the paperwork. 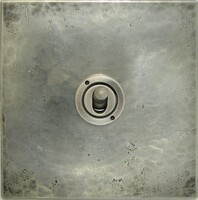 These fittings are not cheap, because they are bespoke hand made to order. 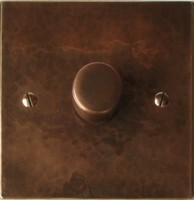 For example, in UK, a typical single dolly switch in antique copper/pewter costs approx. £40- £50 (the price can be affected by quantity being ordered) plus postage cost. Speak to us if you are specifying a room or more of fittings. 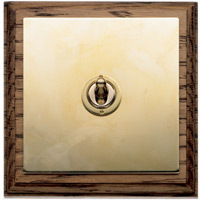 We can offer advise on finishes & options. You can always order 1 piece to check the finish before ordering the full number required. OPTIONS. 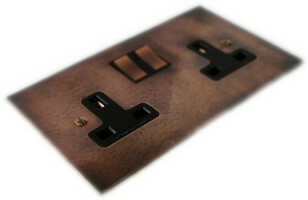 As well as the range of finishes shown above, we will need more information before we can do a quote for your project. For example. 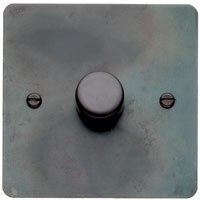 Switches; which backplate type & finish? 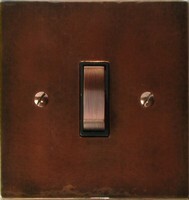 Switch type; rocker or Dolly or dimmer? Single or double switch? 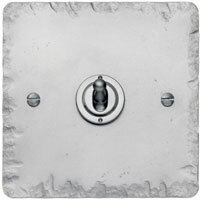 Sockets; which backplate type & finish? 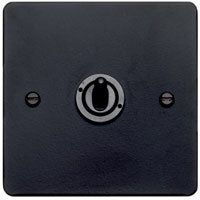 Which insert colour - black or white (this is the small piece of plastic, just visible, that the plug goes into) ? Which switch colour? 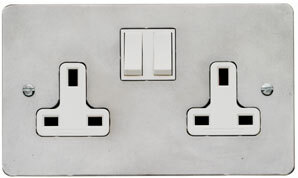 Single or double socket ?There are a lot of socket options, ie TV, telephone, switched spur, cooker, etc etc.. Let us know what you require. Quantity of each type of switch & socket ? This also affects the delivery weight. These fittings are made for UK electric supply of 240V / 13A. We would always recommend you consult with your electrician regarding your exact technical requirements.